Printed vinyl stickers are ideal for indoor and outdoor application. 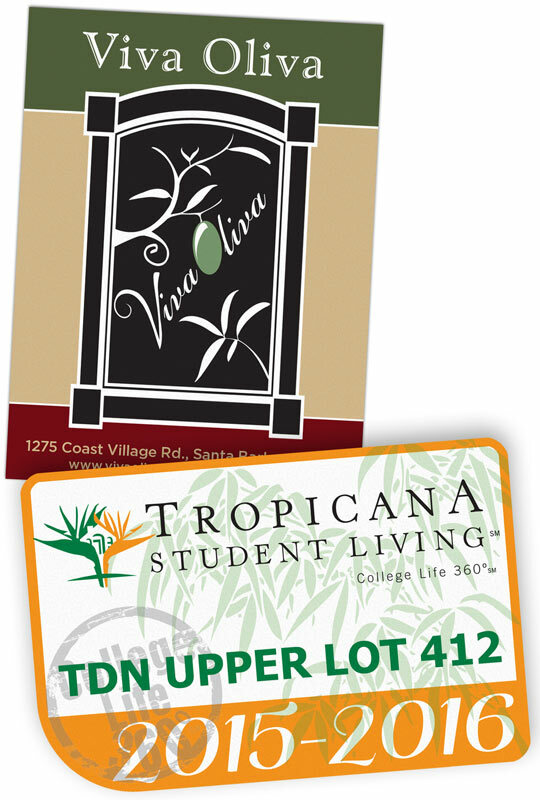 With the addition of variable data inclusion, each sticker can be made unique which is perfect for parking passes, emission certification, ID and product serial numbering. Additionally the stickers can be cut to most any shape within 3" x 4"
At 3" x 4" these stickers can be used for covering misprinted data on packaging, used for promotional purposes on boxes, bags and brochures, placed on bikes, cars and boats for certifications or identification... be creative, stickers can be fun and functional!